The retail automotive industry is in the early stages of another significant shift – providing the transactional data shoppers need to make a buying decision. Large-scale customer shopping platforms such as TrueCar are a leading indicator of this change as they’ve already begun their rapid progression towards a transactional data-based shopping platform. This direction should act as a major wake-up call to the entire industry with regards to how car buyers are behaving and what they expect from their online shopping experiences. Car buyers have become more efficient when shopping for cars. They’re accelerating through the thinking and research phases quicker. They’re arriving at the buying phase sooner because they can find the vehicles they want. Unfortunately, they still aren’t finding the relevant pricing content they need. As a result, dealers see more website activity on multiple devices. 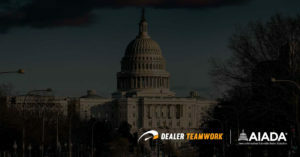 Dealers must identify this activity and know the impact on their business. The days of relying on fluff metrics are over. Page views and time spent on the site doesn’t sell cars, phone calls and lead form submissions do. Dealers must understand how their activity creates real results. That’s all that matters. PCG is doing an excellent job of standardizing the measurement methods used by dealers within their own VistaDash platform. Dealers are now able to identify which of their digital marketing activities are falling short. Unfortunately, this won’t solve the dealers’ need for instantly publishing more contextual marketing content to the primary channels. Search engines need more relevant content to deliver more precise results to its users. This seems simple. We all know how important it is to create relevant content for the search engines. However, it’s often over-simplified, but the fact remains that it’s hard to do consistently. 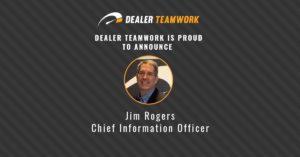 Plus, dealers don’t have the tools at their disposal to execute this activity effectively. • Do you know your process of merchandising your current offers and distributing that content to your marketing channels? • Do you know who owns this process and the tools used? • Do you know the results of this process and how much it costs? Let’s break down the basics of any successful marketing program. The three primary channels every dealership operate within are called their Paid, Earned, and Owned (PEO) marketing channels. 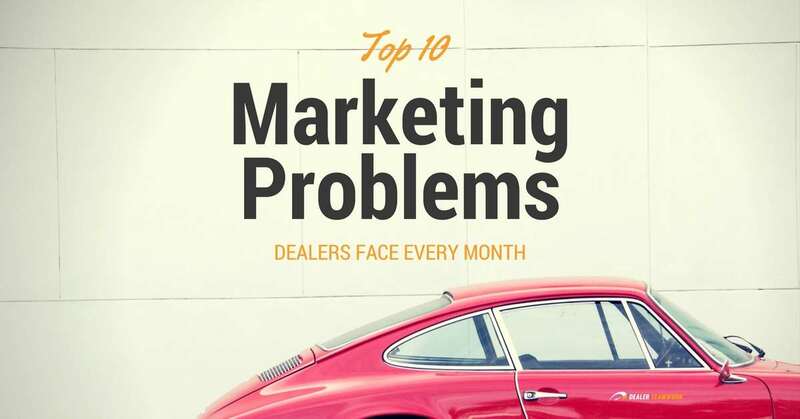 Every marketing manager, sales manager, and dealer principal should have a thorough understanding of the processes their dealership currently uses to create an efficient, integrated, and relevant marketing program. Paid – This is your paid traffic channel. EX: Google Adwords. Today’s paid search programs are fraught with over-spending on branding campaigns, display banners and mid-market campaigns which lack transactional data. Google’s recommendations for creating successful text ads are not followed throughout the industry. Why? Because it’s next to impossible to provide the level of quality Google is looking for within the automotive segment. • Difficult to provide prices, promotions, and exclusives within ads. • Impossible to change pricing elements in real-time. • Hard to match specific ads to relevant landing pages. • Campaigns overrun with low-performing high-funnel/mid-funnel ads. I.E. Branded campaigns, display ads, and may not use Expanded Text Ads. 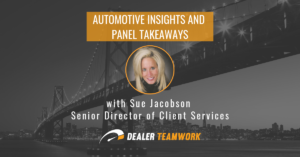 Today’s state of paid search marketing management doesn’t bode well for the dealer looking to integrate transactional offers in their campaigns seamlessly. Imagine asking your current paid search provider to include your current model offers within your ads. This is nearly impossible to execute at scale. It’s increasingly more important to show relevant ads to mobile shoppers. 90% of all car shopping research begins online with over 80% of the activity happening on mobile devices. Google’s new Expanded Text Ad format provides 50% more ad space to show relevant content. However, many marketers don’t use the new format properly or don’t have the ability to include transactional data. As these ads take up additional real estate on mobile devices, the need to show up in the paid section for relevant search queries increases. The top 3 paid ads now get 46% of the clicks on the page. There is also a direct relationship to the performance of paid search and organic page rankings. If search engines see paid traffic that engages and converts poorly, those pages are not rewarded with higher rankings. Traffic that performs well from paid search campaigns signal that the website’s pages are higher quality. If users are engaging and converting more, the search engines reward the page with higher rankings so more people can find it. Google even provides marketers the tips for creating successful campaigns. The image below from the Google Partners guide illustrates what they’re looking for in a successful campaign. While these seven items serve as the recipe for success, it’s difficult to execute these elements given the current resources available. Earned – This is the channel where you receive organic, or free, traffic from search engines. Organic traffic is the result of doing all the right things search engines require. It does take time and resources. The result is higher search engine rankings. More pages are found, ranked and shown to potential customers. This is a compelling form of online discovery as the organic results earn nearly two-thirds of the page clicks. This is the best opportunity to attract high-quality traffic to relevant content pages on your website. This channel also takes longer to succeed and most dealers are not equipped to prepare themselves for organic ranking success. Unfortunately, dealers are not outfitted with the resources to properly conquer this channel. Dealers need to create responsive pages filled with rich, relevant content while also consistently publishing accurate transactional data. That’s today’s marketing reality, and it’s remarkably daunting to anyone attempting these activities in the dealership. • They don’t have an efficient process for updating pages with current transactional offers. • They don’t have the resources to integrate pages with paid search and email campaigns properly. Owned – This is your email marketing channel. You own it and have complete control of it. Email marketing continues to be one of the most over-looked campaign opportunities. Adding consistent follow-up campaigns to unsold prospects is among the best ways to improve your appointment set rate. Email marketing can be at least 40 times more powerful at acquiring new customers than Facebook or Twitter. 72% of people prefer to receive promotions via email, compared to 17% for social media. Segmented email campaigns can provide up to 30% higher ROI compared to direct mail. Unfortunately, dealers don’t have the proper processes to execute effective campaigns consistently. • Email marketing campaigns can often create unnecessary additional expenses when using an outside vendor. • Creating effective emails campaigns often takes too much time whether it’s done internally or waiting for a vendor. • Email campaigns are not integrated, in real-time, with the current marketing efforts. • Accountability and performance tracking is often difficult to measure. 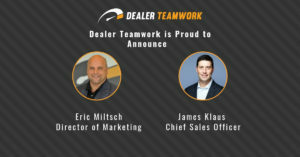 Dealer Teamwork created the industry’s first MPOP – a patented Merchandising Personalization, andOptimization Platform. This unique platform changes the way dealers create, distribute and manage their vehicle offers to potential buyers. You can now publish relevant vehicle offers to responsive landing pages within your website, highly relevant paid search campaigns and segmented email marketing campaigns all in real-time. Your marketing campaigns become more precise and relevant by including lease payments, finance payments, and APRs. This is the opportunity to educate yourself on the newest changes within the industry and build your biggest competitive advantage by creating highly relevant marketing campaigns based on your transactional data. If you would like to learn more about how to improve your marketing results, please contact us at sales@dealerteamwork.com.